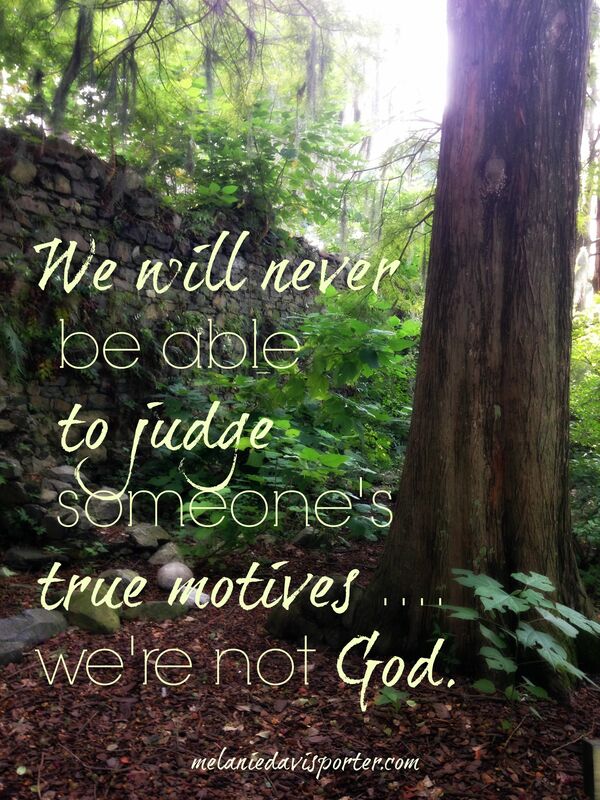 This entry was posted in Believing the Best, Grace, Hearsay, Judge Not, Judging others, Rumors and tagged #Believing the best, #Grace, #Judge Not, #Rumors, Judging by melanieporter45. Bookmark the permalink. I heard once that we judge ourselves by our hearts and others by what we see or hear. I think that suns it up pretty good for most of us. Great post Melanie. A convicting one as well. Blessings on my friend! Oh that quote is very conviction Carmen – you need to do a blog on it! Thank you for stopping by and your encouragement! Blessings back at you my friend!